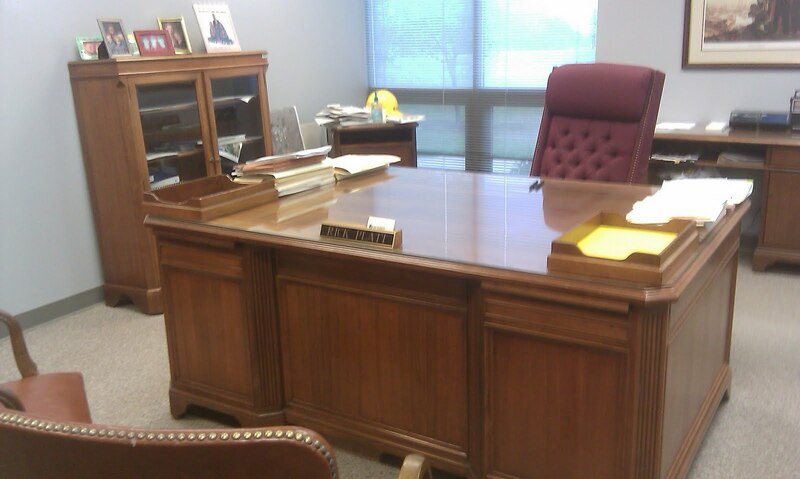 It's been 18 months, at least, since my desk looked as clear as it does today. Last Friday, something inspired me to finally clear off those long-complete projects or long-dead prospects into folders filed off away. My staff has to be wondering, "Is he leaving?" "Is there another Chamber of Commerce event coming?" Neither. I'm staying put. The Chamber's after hours event was one of my past reasons to clear my desk. The custodial contractor joked a tornado must have gone through. Nope. I just came back from vacation, and I just got motivated. Besides, a messy desk is not my fault. It's genetic. Yeah, that's it. I remember going to my Dad's office in the early 1970's. It was a fairly small space, but loaded with piles. I recall a window partially obscured by paperwork. He started his own business in the mid 1970's and that just meant more unfinished business and an office as big as he wanted. He would set up folding tables with a pile for every project and every prospect within reach. During my working life, that's pretty much been my system too. I have a big office and big desk now, but I still look for a desk annex where I can place folders and piles for every project and every prospect. The Platt's are not alone. My old friend Wally Erhnfelt was the Mayor of Strongsville for years. Wally had a big desk with so many piles of papers and folders that, even, I was astonished. I watched one fourth of his desktop sway when he went looking for a precise piece of paper. He got it and the swaying piles sustained. That was skill there. You could go to Weirton City Manager Gary DuFour's desk today and, I'd bet a handsome sum, his desk is piled high with papers too. Gary's a projects and prospects guy too. I bet their fathers were the same. We messy deskers all have a common trait. We know where everything is, as long as no one touches anything.